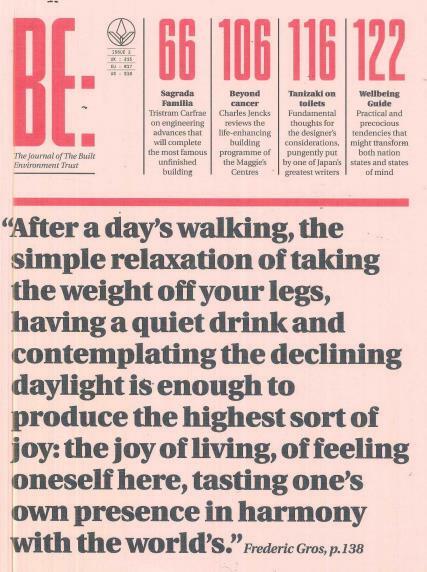 Be is a beautiful biannual journal of thoughtful and creative design, exploring what we need to do to build better. Buy a single copy or subscription to Be magazine. Be: journal is published by The Built Environment Trust gathering a crowd of voices to inform, inspire and contemplate the role of architecture, engineering and construction in our world. The publication brings together the aspects of The Building Environment including: those who design, build it, and live within it. Be aims to explore and encourage innovation of The Built Environment.